Five Manhattan and Brooklyn mothers with children in preschool are suing the city over its policy of mandatory flu vaccinations. The parents — ranging from a single mom in an East Harlem housing project to an investment banker in the Flatiron District — claim a 2013 rule passed by the city’s Health Department under Bloomberg is illegal because it was not voted on by state lawmakers. “I am also disturbed that I cannot express my dissent to my elected representatives in the New York Legislature as I understand they never voted ‘yes’ or ‘no’ for this flu dictate and I don’t know who I can hold responsible for foisting this mandate onto me,” gripes one of the moms, Clemence Rasigni, who works for Merrill Lynch. To state that everyone needs to get a ____ shot implies (against the science) that basically everyone is going to be safe, and everyone is going to have protection, and everyone will be healthier and happier. The End. Now that the fairy tale ends - those of us with minds immediately see that this "one-size-fits-all" idiocy has been pushed for a LONG time - at least 60 years. Okay - let's take OUR turn with the one size fits all game. In the last few weeks, a 37 yr old formerly healthy man in Seattle was ;killed by his flu shot. In Wisconsis a hospital made a 36 yr old woman get a flu shot - which killed her. A 3-yr old girl in Iowa was killed by her flu shot and found to have died from inluenza A and influenza B viruses. 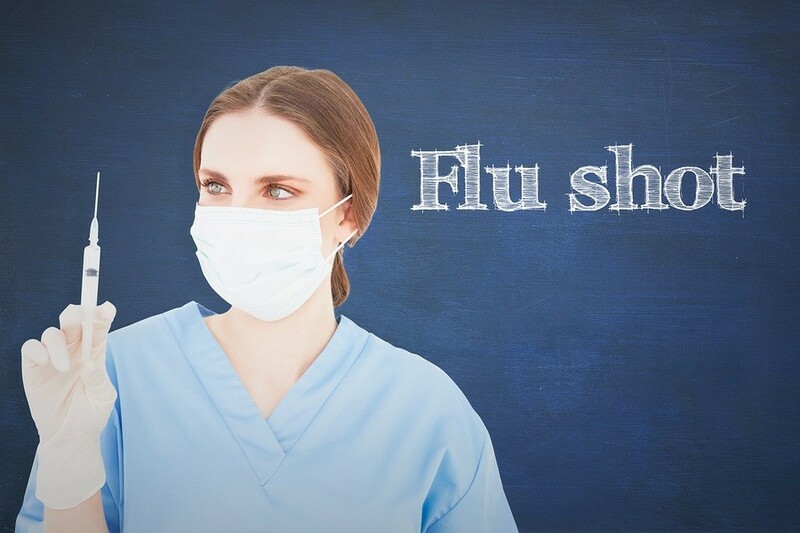 To be healthy prior to the shot - which contains 2 types of influenza A and one type influenza B strains - and then die from 2 of those exact strains places the vaccine as the culprit. How about those Gardasil girls and the boys that died from THOSE shots - i submit that if one size fits all, we are all going to be lined up and killed by our shots! Okay, let's try a slightly more modified approach. A VICP payout recently awarded a man 61 MILLION $ for damages PROVEN to come from vaccines - in an antagonistic (kangaroo) court setting. There are 81 cases of vaccine proven damages proven to cause brain damagaes IINCLUDING AUTISM ( so DON'T try to tell me there is no freaking link, people) We've been told by Vaxassination Theology Priests that there has been no wild Polio in the US since 79 - so all those polio damaged people l see monthly - ARE ALL CAUSED BY THE VACCINE since there is no wild component to cause it. All those HPV girls who went into menopause at age 16, whose uterine function was destroyed by the GMO based shot, who live in screaming, constant pain as their myelin sheathing is destroyed, who are wheelchair bound, or brain damaged - this is all proof that we will all be lined up to get our shots, and since one size fits all: we are all going to be permanently damaged!!!! Okay, still too extreme for the church of fake immunization crowd - how about in 2004 an outbreak of measles in Ohio found that the infected were 94% vaccinated - last year in NY State an outbreak of measles found 90% of the sickened were vaccinated. In Ohio last year a mumps outbreak found NINETY SEVEN PERCENT OF THOSE INFECTED had been vaccinated. Since 2010 in three whooping cough outbreaks i recall; 70%,72%, and 90% of the sick WERE VACCINATED!!! So - WHERE is this mythical vaccine protection - i surely don't see any, do you? Does this mean that since one size fits all - we are all going to line up and get our shots and have zero protection - or as the stats indicate WORSE risk of contracting a disease we are pretending we are protected against? i'm just saying - the mandatory vaccination is ONLY good for drug pusher profits and for absolutely NO other reason i can discern. This mythology is carried to it's extreme with it's promise that we will develop "herd immunity" from vaccines as soon as enough of us get shot. This is a SCIENCE-FREE MYTH developed by someone's marketing team most likely. We HAVE HAD those statistical vaccination percentages met on MULTIPLE occasions, and not only has there NEVER been any herd immunity - the disease occurrence and outbreak incidents stayed high until those vaccination rates dropped. HERD IMMUNITY FROM VACCINES IS A LIE because it works absolutely against the natural immune system and in fact DAMAGES it. Therefore vaccination will NEVER cause ANY herd immunity. Periiod. @Michael-McLaughlin said: > People should go to their local police when their loved ones are harmed or forced to risk harm by vaccines. Do you get a lawyer and sue when you get robbed or attacked? Or when people are driving recklessly on your street where your children play? Nope. On the other hand - a North Carolina man opened his door to a police raid at 3 something A.M. and they were looking for someone who had lived there a long time before. When the police wanted to search, the man stated that the 4th amendment says that people need a warrant to search - and to come back when they have one. So the police broke in, beat him, and shot him execution style pretty much. i think i'd refrain from the cops. They are probably more ignorant about Vaxassination Theology's flaws than you and i since they are the strong arm of the establishment. People should go to their local police when their loved ones are harmed or forced to risk harm by vaccines. Do you get a lawyer and sue when you get robbed or attacked? Or when people are driving recklessly on your street where your children play? Nope. The flu shot is one of modern times' biggest farces. No-one knows what the flu strain will be, yet everyone is being encouraged to flock for their flu shot. It's also illegal, as the flu shot does not meet the legal requirements. In essence, everyone going for a flu shot is spreading the man-made flu.